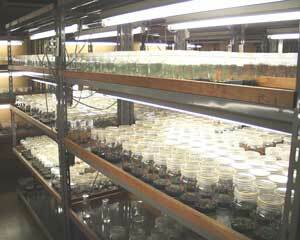 We propagate Japanese orchids from flask since more than 15 years. Most of our breeding programs are concentrated to Calanthe, Dendrobium moniliforme and Neofinetia, for Japanese customers. 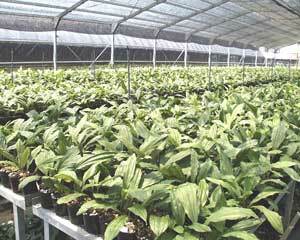 But now we are trying to make Hardy Orchids for oversea customers, through new breeding programs. Some of Japanese terrestrial orchids require special conditions for germination and growing. 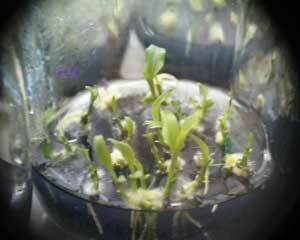 Also, the growth of seedling is very slow, not as tropical orchid. All of Calanthe hybrids are grown in the pot, for keeping them virus-free. It takes about 4 to 7 years to bloom from flasked seedling. Calanthe needs a lots of fertilizer especially late spring and early fall for making flower bud. We use organic fertilizer mainly, because of good coloration. If you want to plant Calanthe in your garden on the ground, it require well drained and rich humusy soil. Most of our Calanthe KOZU hybrids flowers has good fragrant and various colors.